Getting the plot ready for winter, this is the time for mulch. Thickly applied to protect the roots of our plants from the harshest of the winter weather it will gradually break down over the next few months to provide some nutrients and improve soil structure. 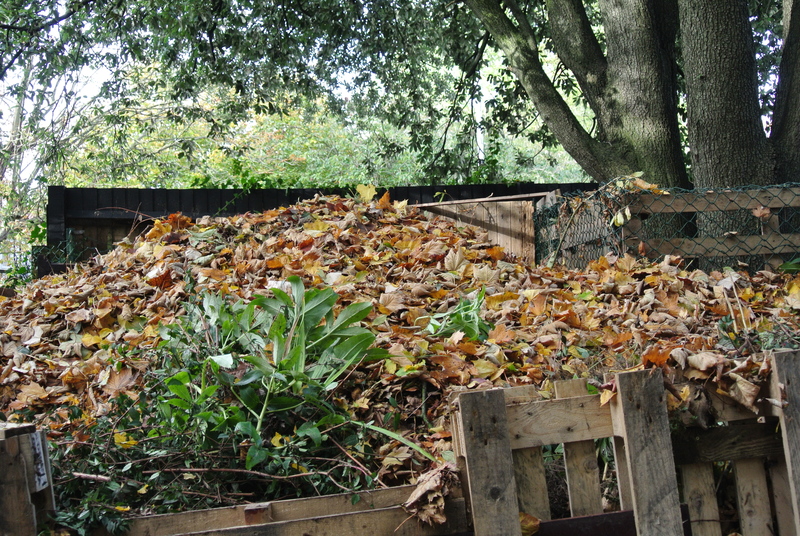 Surrounded by trees with leaves falling everywhere, one of the most readily available to us is leaf mould and those collected now, depending on variety, should be ready for duty next autumn in one of those clever feats of timing that nature is so good at. A little bit of garden gold. Hello David, nice to hear from you. I have an electric leaf-blower / sucker, which is good because it shreds the leaves, making them quicker to decay. It’s not good with wet leaves though, so I’m looking for a fine weekend please! Good luck with the fine weekend, it’s pouring with rain here and same forecast for tomorrow. Interested to know how much quicker the chopping up makes it?